my pictures have all been blurry lately. i’m not sure what’s going on. maybe something is wrong with the camera. maybe i can’t stop shaking long enough to get a clear shot. 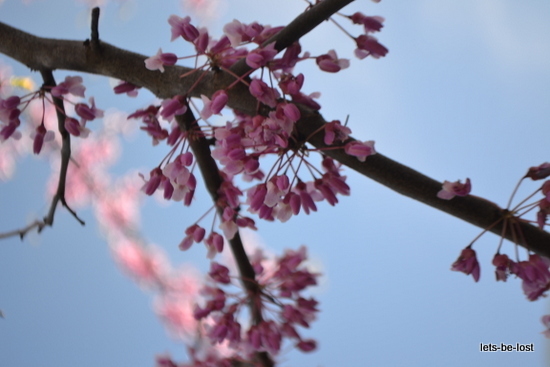 it’s finally spring. that means emerging buds and slight breezes and dandelions exploding from the ground like fireworks and the musky smell of the pear tree settling over the backyard. 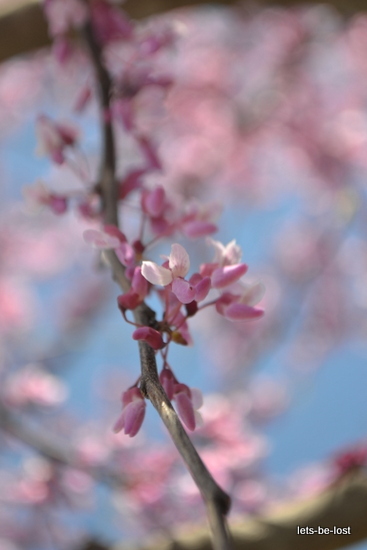 the redbud tree is one of my favorite plants that has made its home here. it’s a pink eruption of delicate flowers amid the overwhelming green. 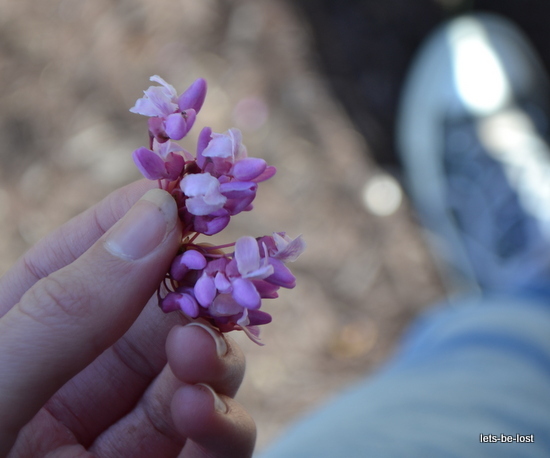 the blossoms are edible; they’re tangy and sweet with a slight crunch. they taste like nostalgia. Thanks, Izzy. 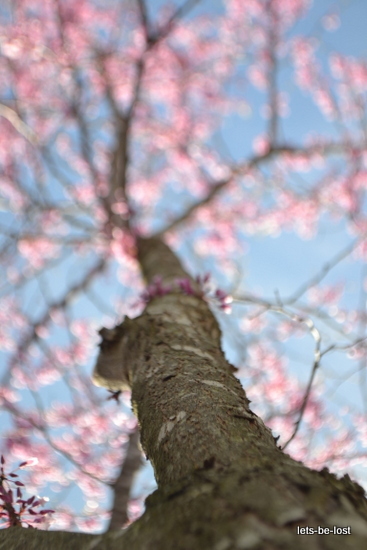 I didn’t even notice the bokeh until you pointed it out. You’re welcome! Ha ha, that’s funny. Thank you. :) They’re kind of an acquired taste, but not too bad. Oh my gosh, those are all so GORGEOUS! Those photos are amazing and so pretty! 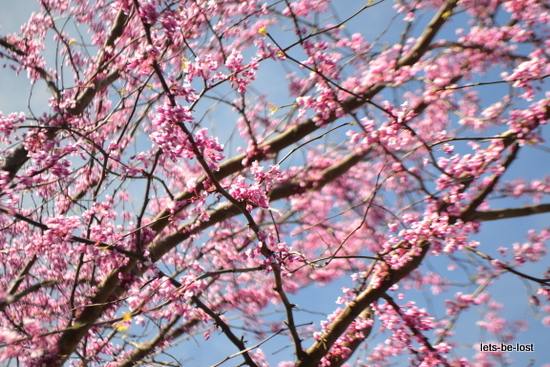 I have a redbud tree too. They’re so pretty! I loved seeing your pictures . Oh no, I hope you figure out what’s happening with your photos. Either way, keep blogging, Loren, we love ya. 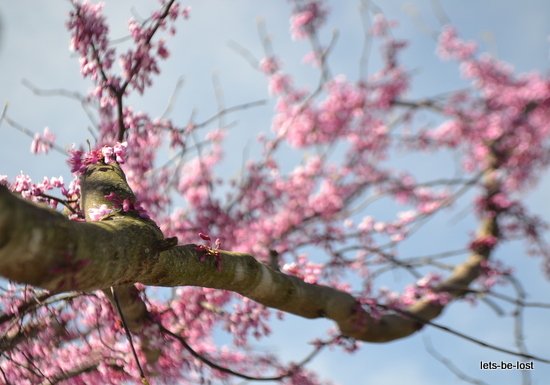 I’m going to be getting a new lens soon, so hopefully my photos won’t be blurry for much longer. Wow, Loren, those are so pretty. Is your camera on Macro Mode or something like that? I once didn’t realize it was and took loads of blurry photos. Hmm, I’m not sure. I’ll check. I might be getting a new camera lens today, so there hopefully won’t be anymore blurry pictures. 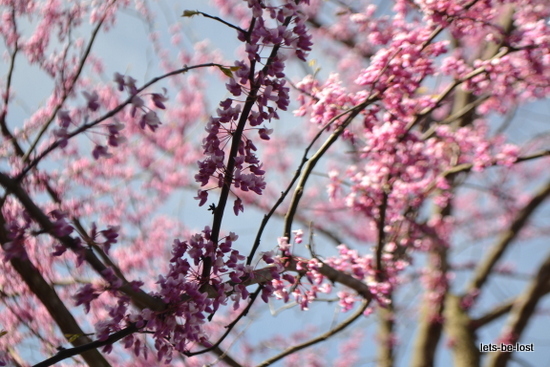 Redbuds are gorgeous. I love that fourth picture- the lighting is beautiful! They definitely are. And thank you! Happy spring to you, too.